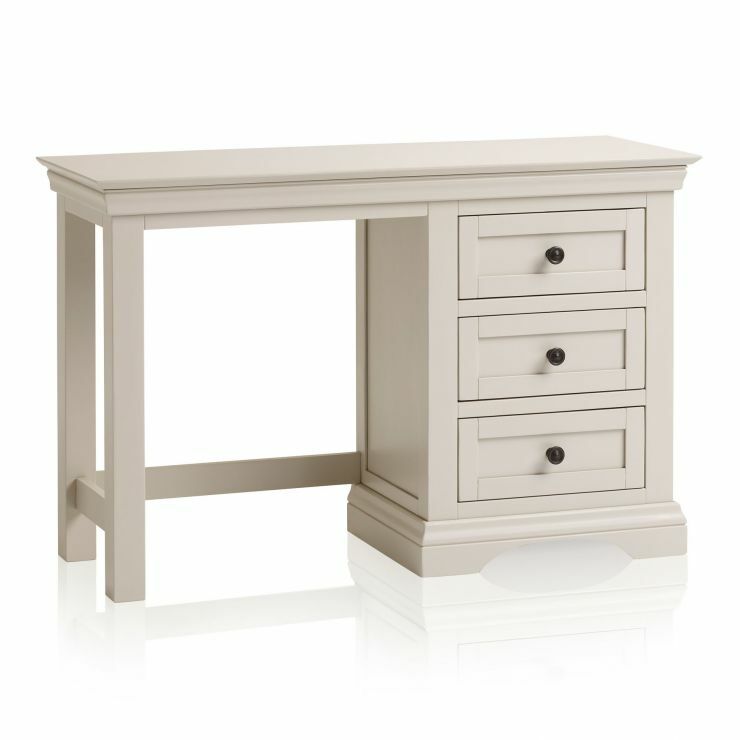 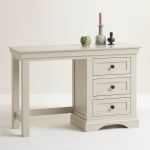 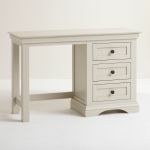 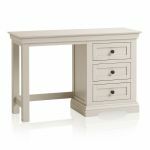 The perfect place to get ready for the day ahead, the Arlette dressing table is an elegant addition to any bedroom. 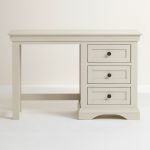 Painted in a crisp smooth shade of versatile mid-tone grey, it looks great in both traditional and modern schemes, thanks to its timeless design elements. 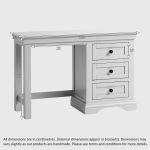 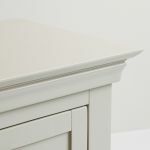 The top features decorative cornices, and the base is arched, while the drawers feature panelling and contrasting dark metal button knobs. 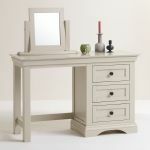 Complete your new painted dressing table with our matching swivel mirror and stool, or even one of our coordinating dining chairs for a custom look for your bedroom.